It's pretty fantastic that Marina Abramovic is finally getting so much attention inside and outside the art world. We can partly attribute this to the major retrospective she had at MoMA in 2010, but it also seems that people are becoming more interested in performance art and artists, which to us, is a win-win situation. 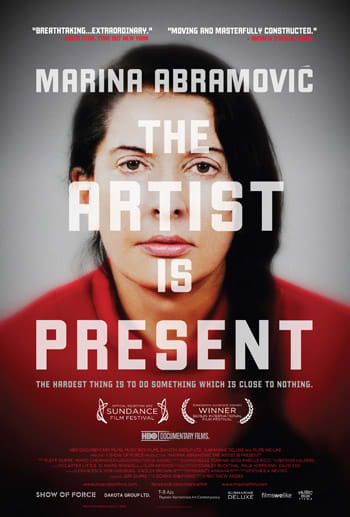 2012 brought her film titled Marina Abramovic: The Artist Is Present, which documents her career in the context of the moving retrospective. It's safe to say that, in Marina's case, the artist is "present" in more ways than one. We imagine that 2012 has a lot more in store for Marina Abramovic.